Hello! My name is Athena Chiladakis and I am UCANR-IREC's newest employee. I started on January 30th as the new Administrative Assistant. Laurie Askew, who is now the IREC Office Manager, previously held this position. 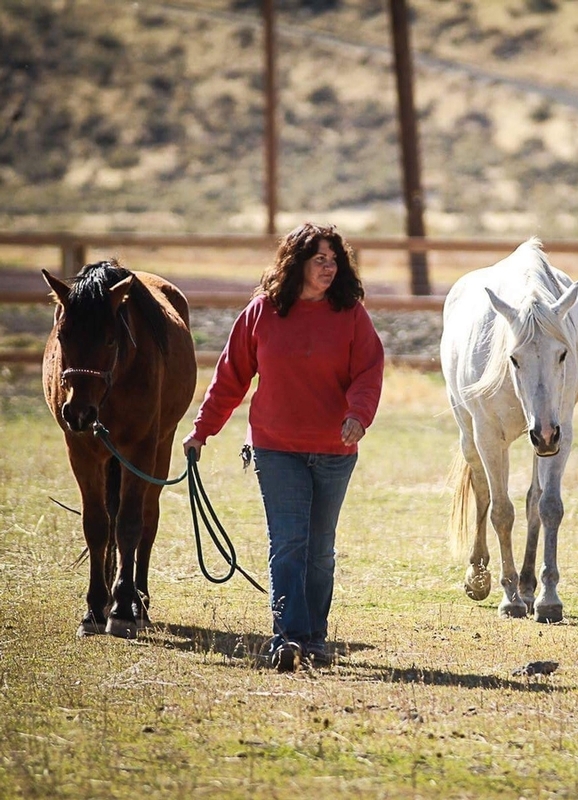 I moved to Tulelake three years ago from the Bay Area to raise my family and Morgan horses. While in the Bay Area, I worked within the Pharmaceutical and Biotechnology industry in Toxicology, Quality Assurance and Regulatory Affairs. My most recent position was at Bayer Healthcare in Berkeley, California where I worked for 9 years as Associate Director of Regulatory Operations Global Submission Management and Archiving. I have a UC education (a Bachelor degree in in Animal Science from UC Davis, and a Bachelor degree in English Literature from UC Berkeley). Here at IREC, as an Administrative Assistant II I'll be helping with administrative and research functions. I'll also be the one sending announcements, blog posts and updating the website, so keep an eye out for my emails. I look forward to working with you and feel free to stop by the front desk to say hi.